Fuushan is professional service provider & manufactures for Agricultural Machineries and Liquid Storage Equipment. 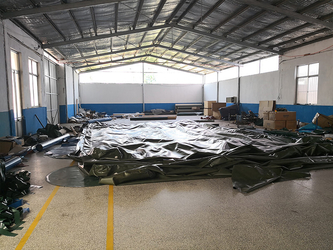 We are professional importer and exporter since 2000.We provide the quality service to the worldwide customers and continue to collaborate with new business partners. We offer grade a quality product only. Our products are TOP quality with original box. "Quality first, customers forever" is our consistent tenet. Besides rapid shipment after the receipt of orders, we can assure you of excellent quality products and the best service. Furthermore, we offer you the most competitive price to open your markets. We offer very special prices to our customer (price depends on your quantity). 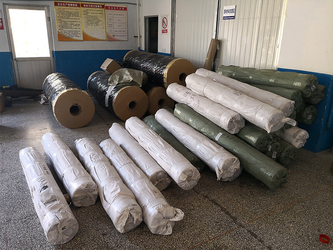 We can not only provide high quality products, but also assure you competitive prices in China when all other conditions are equal.Please email us to get details. we can delivery within 24 hours upon receiving your payment. It is very safe door-to-door service never gets problems with customers. 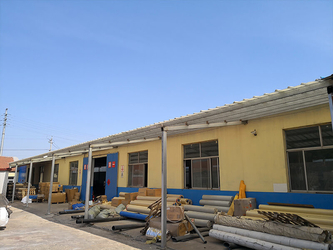 In order to achieve customers satisfaction, Fuushan always offers reliable and high-quality product as well as first class service to be the Primary goal. Choose us and cooperate with us. Fuushan is professional service provider & manufactures for Agricultural Machineries and Liquid Storage Equipment. We are professional importer and exporter since 2000. We provide quality service to worldwide customers and continue to collaborate with new business partners. We enthusiastically provide sincere and prompt service to our customers and establish sustainable business relationship with them. Zhiyou marine products are designed and manufactured with one-stop solution and OEM&ODM service . With 100% factory inspection, we are responsible for any problems subjected to malfunction in warranty period. •We put your order into our tight production schedule, keep our client informed about production process, ensure your punctual delivery time. • Shipping notice/ insurance to you as soon as your order is shipped. •After receiving the goods, We accept your feedback at first time. •We could provide installation guide and if you need, we could give you global service. •We have a sales team, with all techinical support from engineer team. • We stricktly confrom to all requriements from our value customers in our selling process. • If needed, we could sign a formal agreement with our customers to ensure their benefits before the first order. "Integrity" is the cornerstone of our cause, is the starting point of all our work. Only integrity will be strictly in accordance with our laws and regulations to standardize the requirements of our business, sincere and pragmatic attitude to the business enterprises to promote the development of "FUUSHAN" is willing to be forging a dedication to the cause of enterprise elite team. "Innovation" is the soul and life of our enterprises. We recognize that the only innovation can have long-term viability of the enterprise, competition in the market so that enterprises can truly invincible. We will always regard innovation in an important strategic position, the concept of continuous innovation, organizational and system innovation, support and product innovation. "Cooperation" is the survival of this enterprise. We have always believed: owned enterprises with limited resources, and community resources unlimited. We will step things mindedness, extensive cooperation with the community in many ways for the international and domestic markets with high-quality products and services, in order to return the trust of customers, staff dedication and community spirit. "FUUSHAN" is the heavy competition in the market. "FUUSHAN" not only enables business interests to view but also enterprise business ideas, business culture, business value, enterprise products in the minds of users of the status of the integrated. "FUUSHAN" is the highest pursuit of the development of enterprises.